Stephen Hawking seeks help to make voice heard “Could you maintain this?” « Adafruit Industries – Makers, hackers, artists, designers and engineers! Stephen Hawking seeks help to make voice heard. 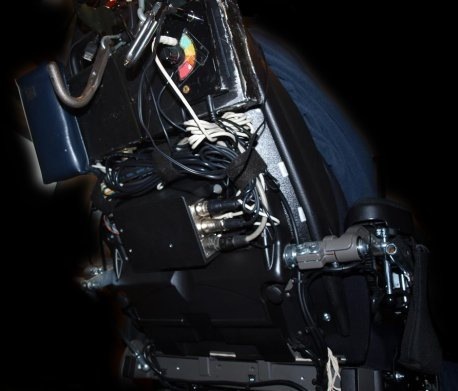 The synthesizer’s robotic monotone has become nearly as famous as Hawking himself, but the computer — powered by batteries fastened to the back of Hawking’s wheelchair — isn’t just for speaking. It can connect to the Internet over cell phone networks and a universal infrared remote enables the physicist to switch on the lights, watch television, or open doors either at home or at the office.